Happy Birthday to the Queen of Soul! The Queen Of Soul, Aretha Franklin, celebrates her 71st birthday today. Aretha’s done two tours of duty with our labels, first with Columbia Records from 1961 to 1966, then a hitmaking era with Arista from 1980 to 1998. Today’s photo from the Sony Music library, taken in August 1961, captures a 19-year old Aretha in the studio with the man who signed her to Columbia, the legendary John Hammond. Visit the official Aretha Franklin facebook page to wish her Happy Birthday! The November 13th event at Westchester County Center in White Plains, NY has been postponed to March 27th. On November 13, 2012 the Queen of Soul will perform in White Plains, NY at the Westchester County Center. For listings of other tour dates, please check out the events page. On Saturday, November 17th Aretha Franklin will perform at the DAR Constitution Hall in Washington, DC. Tickets on sale now at Ticketmaster.com and 800-745-3000. 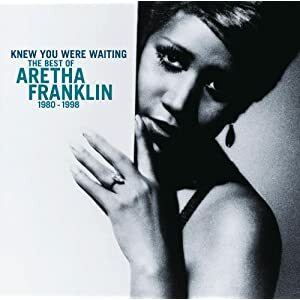 Today, Legacy Recordings celebrates the Queen of Soul’s 70th birthday with the release of KNEW YOU WERE WAITING: THE BEST OF ARETHA FRANKLIN 1980-1998. This 15 song collection includes her biggest ‘Arista’ hits and also showcases her collaborations with her biggest fans including duets with Annie Lennox, Elton John, Whitney Houston, George Michael, George Benson, and guest performances by Keith Richards and Clarence Clemons. KNEW YOU WERE WAITING: THE BEST OF ARETHA FRANKLIN 1980-1998 AVAILABLE NOW!